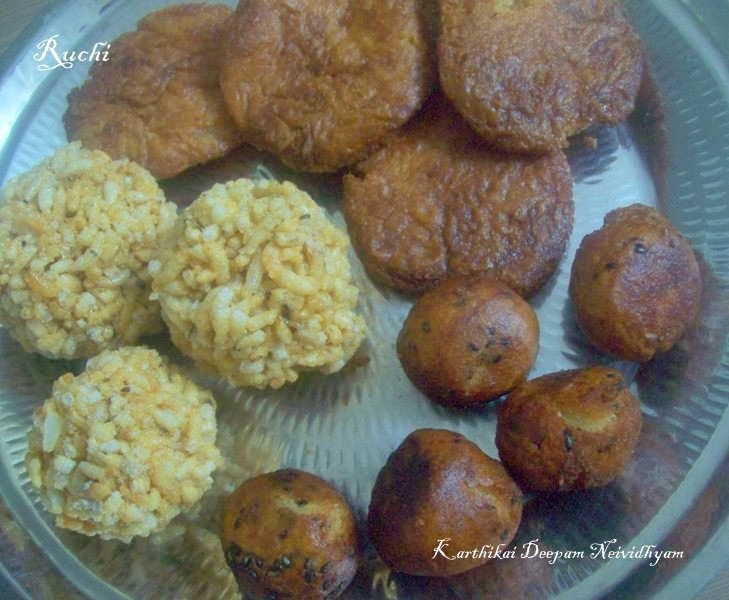 It is a custom in our home to make Pori for Karthikai. We usually made pori urundai along with Athirasam, Vella seedai,& Appam on that day. While many make these balls using Arisi pori. But in my both side my mom and MIL is not making balls, they just mix and make it as crumbles. So I too followed their way. But this time I made Pori Urundai As per my husband’s wish. 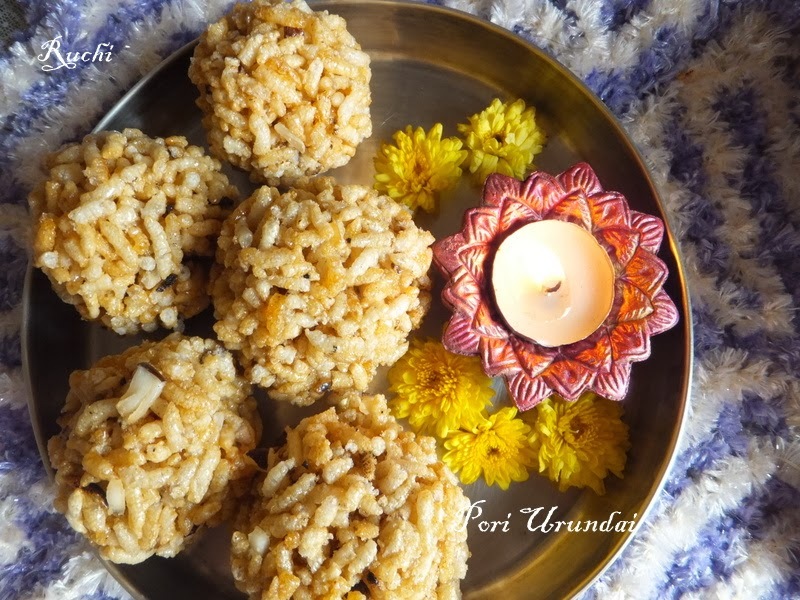 Here I am sharing the recipe of PORI URUNDAI. 1. Put the cleaned Pori in a large plate.Add jaggery in a pan with 1/2 cup of water and when it dissolves it water take it and strain the jaggery water to avoid sand. 3. On this consistency Add cardamom powder, dry ginger powder and coconuts pieces and stir well. 4. Now remove the jaggery from flame and add the Pori and mix it thoroughly using a big flat spoon. 5. When it is warm enough to hold by hand Grease hands well with ghee take the mixture and make balls using both your palm.